Still from a Waste Robotics demonstration video. The Canadian government will invest in a company that’s developing artificial intelligence machinery to separate materials at recycling facilities. Sustainable Development Technology Canada (SDTC) announced a 1.4 million Canadian dollars (about $1 million U.S.) investment in Waste Robotics, a Québec-headquartered company. 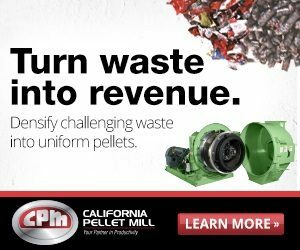 Other companies in the U.S. and Europe have already entered the field and are quickly selling their systems to single-stream MRFs, mixed-waste processing facilities, C&D sorting facilities, plastics reclaimers and others. Those using artificial intelligence to identify materials so they can be sorted include Denver-based AMP Robotics; Eugene, Ore.-based Bulk Handling Systems (BHS); and Helsinki-based ZenRobotics. Photo courtesy of Waste Robotics.